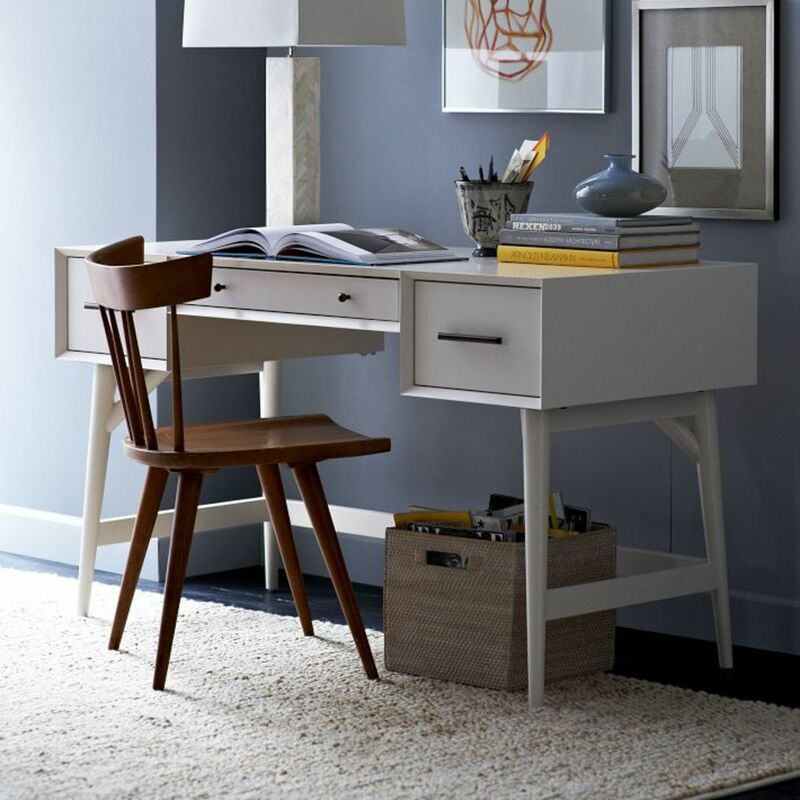 Putting together your home office and need a great desk as a focus point? Look no further than these awesome options. 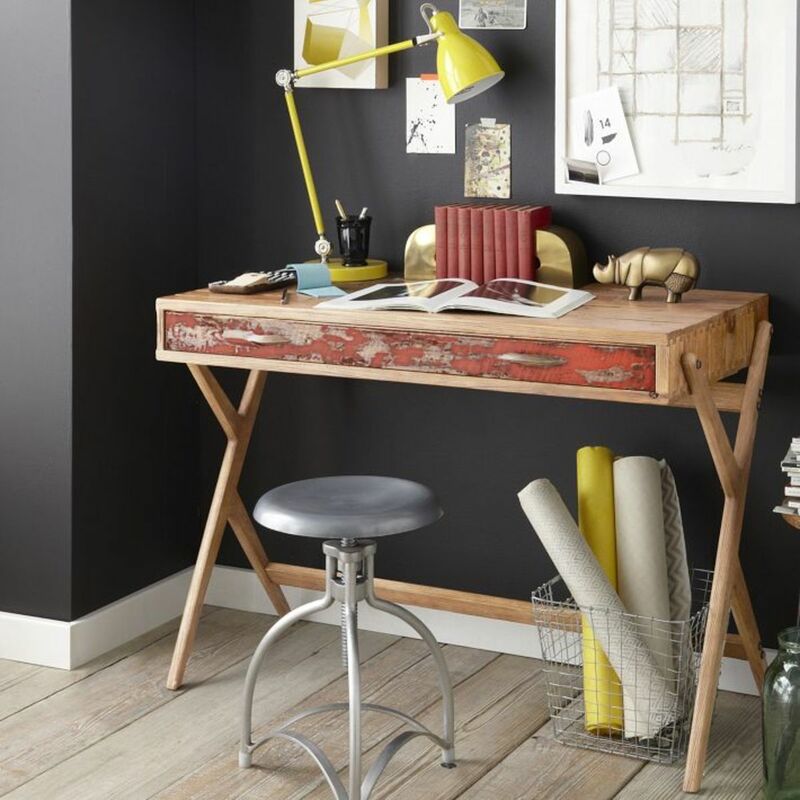 Covet Desk: This is a cool and modern desk that isn't too modern, you know? 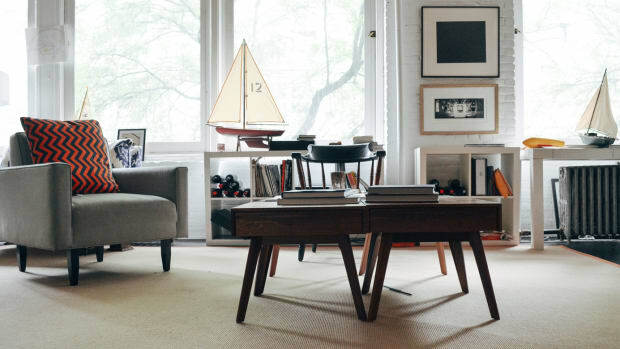 The glass top is pretty great looking and it looks wonderful when paired with an Eames chair, like shown above. 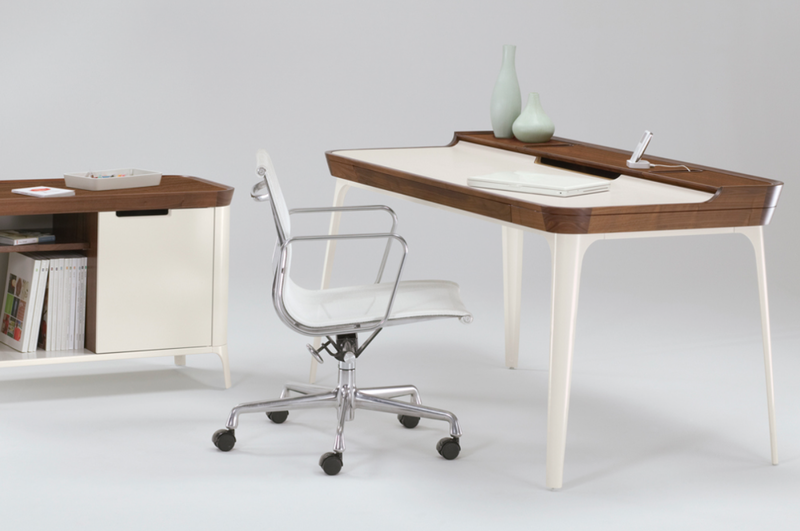 White Mid-Century Desk: If you're looking for a slick and simple desk that's white, this is definitely your best options. Pairs great with all things Apple. 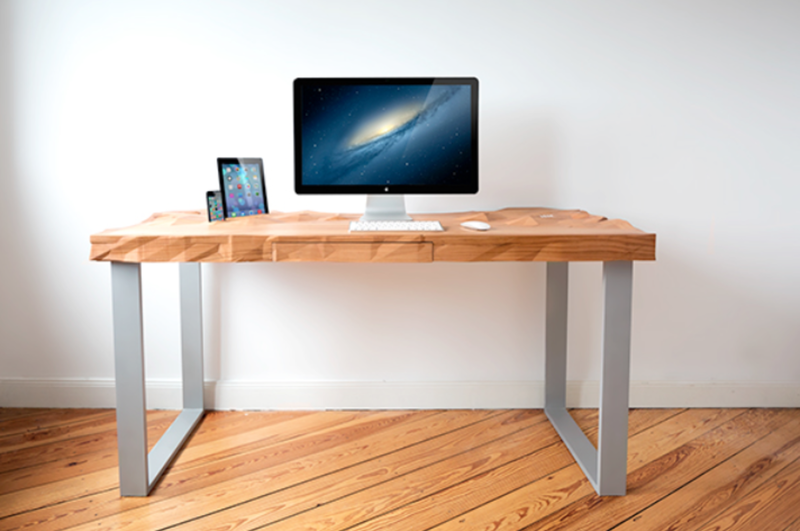 Reclaimed Pine Cross Base Desk: If your place has a rustic and industrial look, this one made from reclaimed pine is a solid option. The juxtaposition that's created when mixed with modern technology is an amazing look. 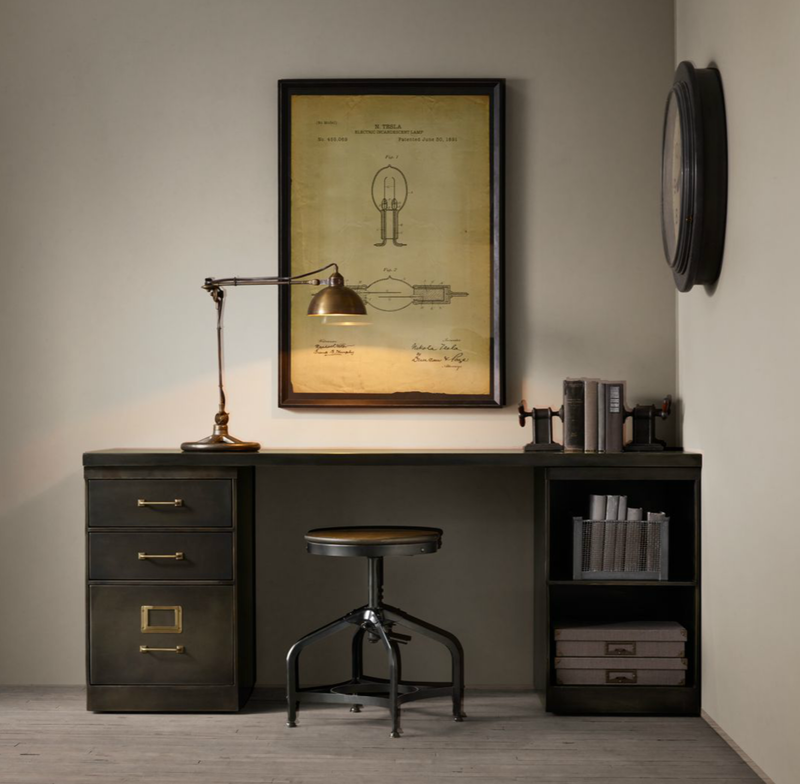 1940's Industrial Modular Desk System with 3-Drawer File Cabinet: This is perfect looking military-inspired desk with killer construction and an awesome vintage-y look. 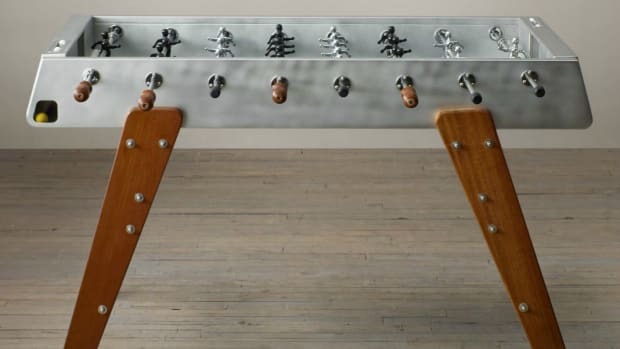 Artifox Desk: We dubbed this the coolest desk ever made when it was first announced, and totally stick by it. 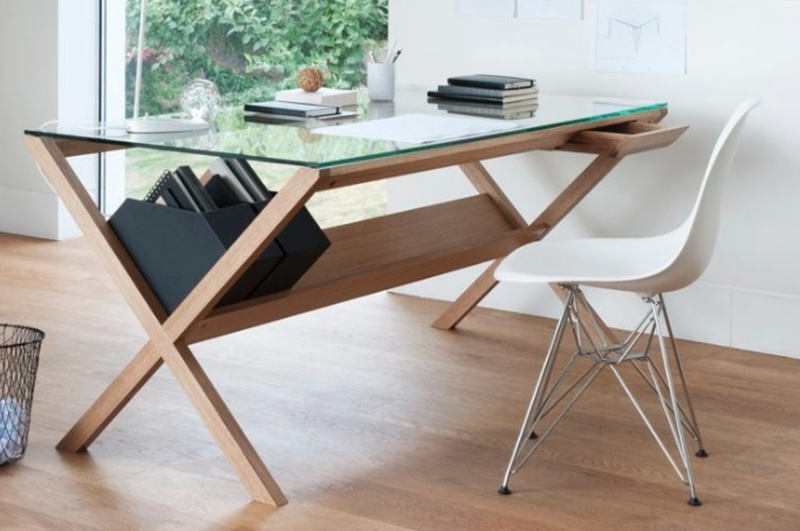 From a visual and design perspective, you can't go wrong with this desk if your home decor is already pretty modern. If it's not, you can still pull if off, you'll just have to have some upper-level interior design skills. 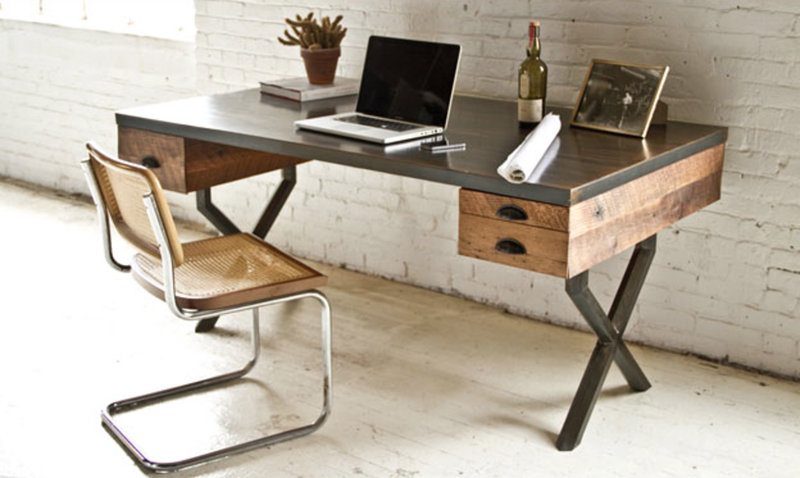 Walter Desk: Here's another good looking industrial-inspired desk for the Restoration Hardware obsessives. 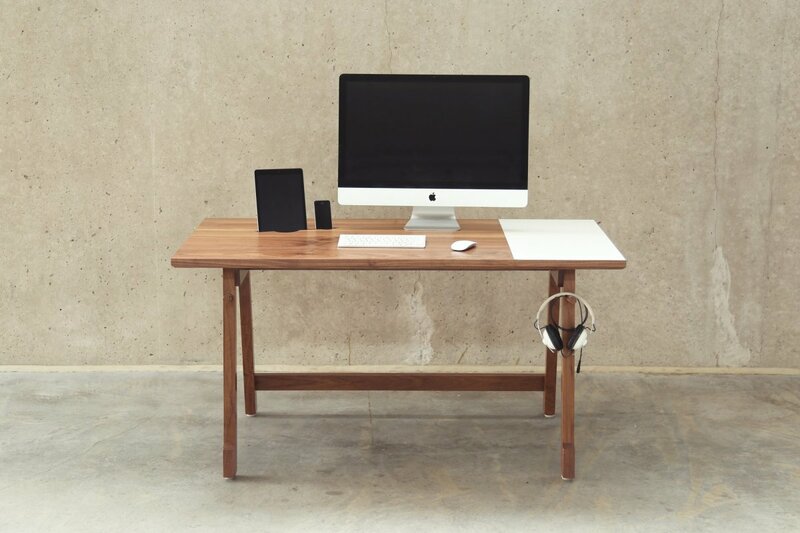 Blidu Desk: It's super modern, so it will only work in a small percentage of homes, but if it's a fit, WOW is this a cool looking desk. 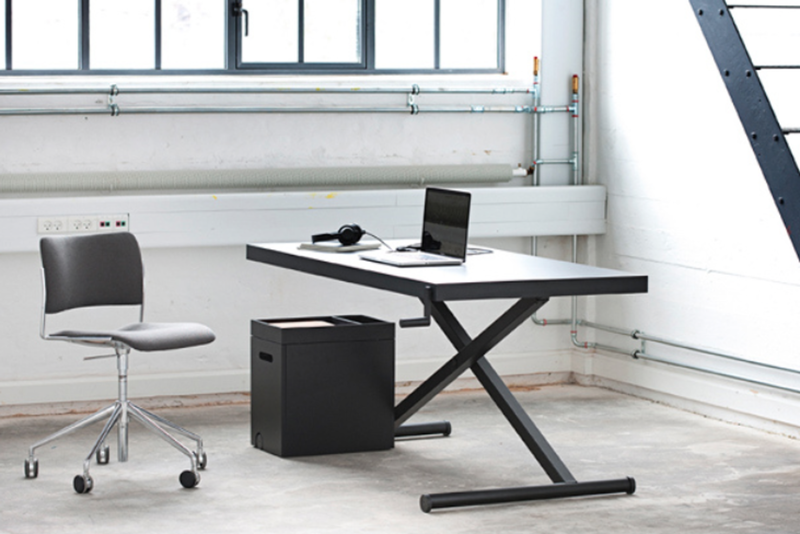 Homlris’s Height-Adjustable XTable: This is a great looking desk that can easily transform from sitting to standing. 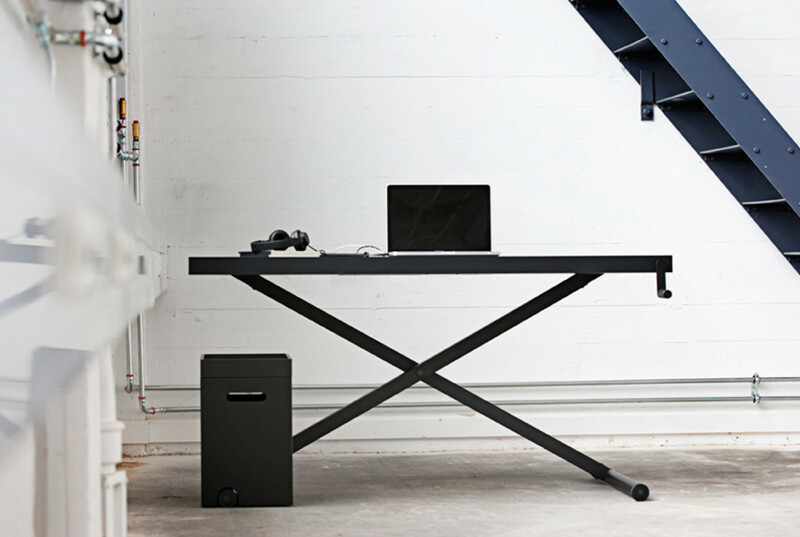 Mark Tran Ergonomic Table For Your Laptop: If you're without a full desktop computer and just using a simple laptop, this bad boy designed by Mark Tran has an adjustable top that leans the laptop to you for a more comfortable work experience. 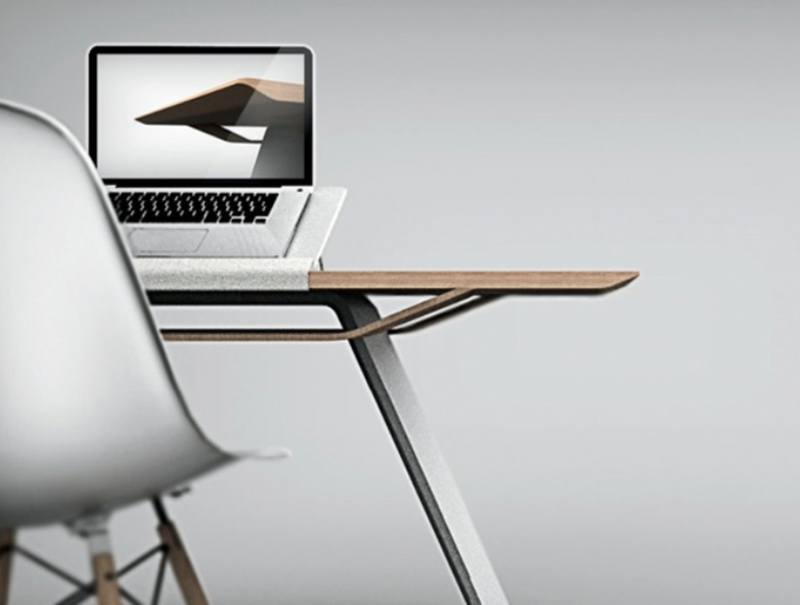 Herman Miller Airia Desk: You can't really go wrong with this one from Herman Miller. It's a softer modern, so it will look appropriate in homes that don't look like the year 2075 as well as those that do, and has all the quality and style you'd expect from Herman Miller. 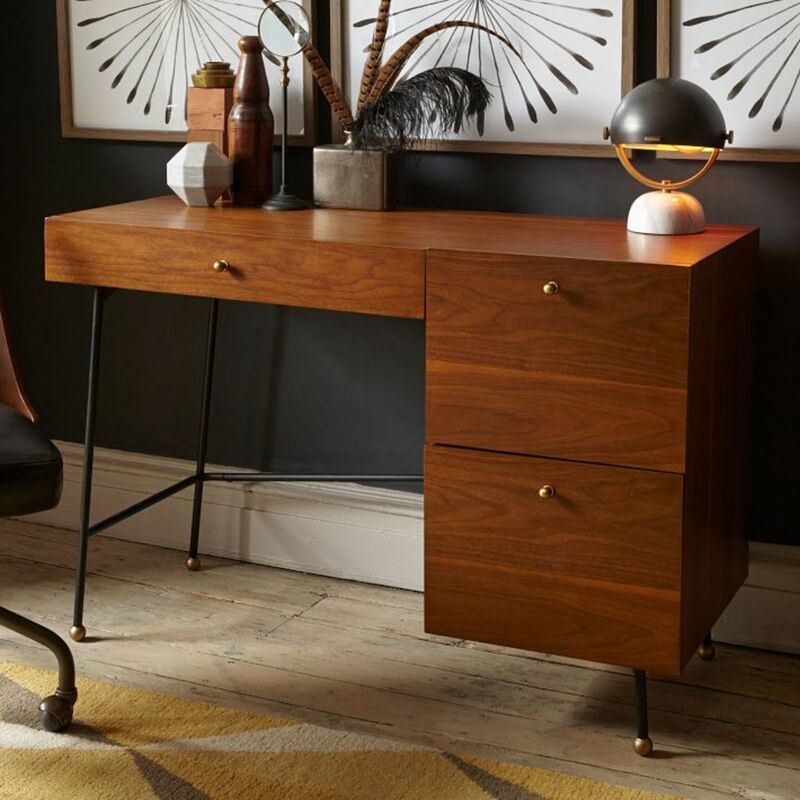 Grasshopper Desk: If you don't have a lot of space, this Mad Men-style desk would look great in a lot of homes that have either a traditional of mid-century look to 'em.